Hard pressed Culture Minister Asad Ademi, who faces calls to resign after he cut public funding for some of the best regarded cultural events to fund nationalist Albanian pet projects, was revealed to have had his sister employed in the public energy producing company ELEM. Ademi, who comes from the ethnic Albanian BESA party which is part of the SDSM led coalition, joins many other coalition politicians like Speaker Talat Xhaferi, former Prime Minister Vlado Buckovski and member of Parliament Goran Misovski who got cushy public sector jobs for their relatives. Xhaferi even had his brother in law appointed to the Anti-Corruption Commission, a body which is in theory supposed to investigate such cases of nepotism. The SDSM led coalition is handing public sector jobs even to the members of Parliament which it poached from the opposition VMRO-DPMNE party to vote in favor of renaming Macedonia into North Macedonia, like the daughter of Emilija Aleksandrova. Ademi, who is visiting Berlin, said that he will review the much criticized annual program of his ministry, which cut money for much loved events like the Skopje Jazz Festival, and diverted them toward a nationalist opera dedicated to Albanian hero Georg Kastrioti Skenderbeg. I would like to inform the public that all rejected funding requests will be reviewed again and if some failures are determined in our decisions, they will be put on the list of funded projects. We will invite media representatives to evaluate the process, Ademi said. SDSM received significant support from actors and musicians during its Colored Revolution protests against the VMRO-DPMNE Government, and many of them said they are feeling betrayed now that their party is in power, and some, like director Zoja Buzalkovska, resigned as culture advisor to the Prime Minister. Actor Robert Veljanovski from VMRO-DPMNE said that the program is meant to systematically erode cultural events in Macedonia. We are witnessing wholesale theft of public money. 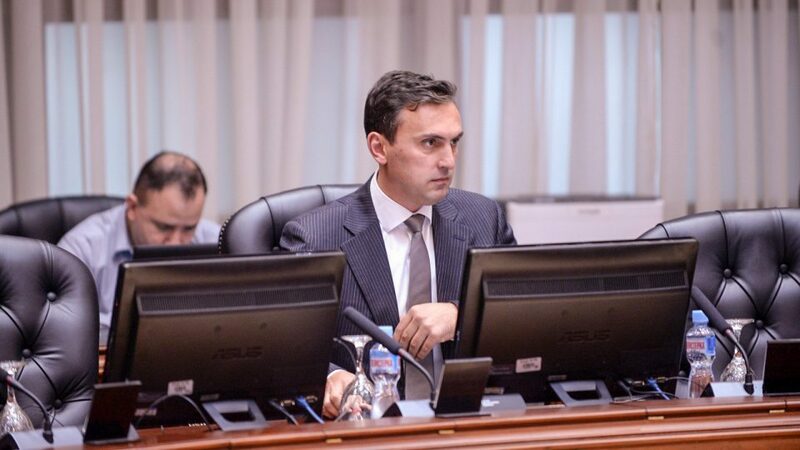 This criminal and rootless Government led by Zoran Zaev showed it is prepared to do anything it takes in order to syphon money into its own pockets, Veljanovski said, accusing the Culture Ministry of funding hundreds of pet projects by “artists” close to the ruling coalition. Veljanovski pointed to the fact that the world renowned Macedonian folk dance group Tanec was given only 150.000 denars in the annual program, while a newly funded group for Albanian dances received 800.000. Likewise, the Taksirat music festival, which applied for 6 million denars, received only 500.000, while the little known Albanian Artal association from Tetovo favored by the Minister was given 3.6 million denars.